Grand Concert Radio Broadcast reached an estimated 5500 listeners throughout the county & surrounding region. PBS will air video footage on three series broadcasts including Upstate Edition, Made in New York and Just Down the Road. Estimated viewers for these programs are 75,000. Grand Concert audience of 250-300 was standing room only. Workshop presentations were rated as excellent. Participants indicated that the setting was wonderful and expressed a desire to return for next year's gathering. The weekend was magnificent. What an impressive array of talent and expertise. Just a note to tell you how very much we enjoyed the Grand Concert in Windham on Saturday. Everything was perfect - the setting in that sweet village, the charming old church - it felt like we were back in the 1860s. I am still overwhelmed by the whole weekend in an entirely positive way. The people who organized this event are first class. 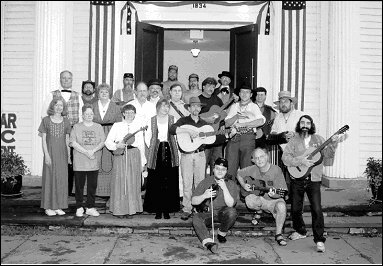 The three days of programs varied greatly over a wide range of subjects from the parlor music to the banjo. The educational lectures were insightful, informative and inspiring. Thank you for organizing a great weekend! 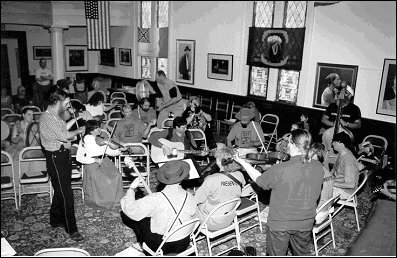 So many wonderful presentations of course the music that binds us all together as Americans. The dance workshop was great fun. I enjoyed the whole experience of a Civil War music immersion. Let's do it again! It was truly a wonderful time. I'm sorry I missed the Friday jam session. Kudos to you folks for putting together such a fine event. The seminars were great, the musicians were so talented and the Grand Concert was super. Wow! What a wonderful weekend Peter and I had. We are still reliving it, and I'm sure we will be for some time. I really can't get over the range of offerings, the talents and generosity of all of the presenters and the total immersion in the history and life of that time we experienced. Thank you for making it possible.